Lacquer or Leave Her! : The Lady Varnishes I'm So Ogre Green...Not! This, to my mind, is the ultimate mermaid polish. I don't normally go out of my way to grab a pastel, but this--this is stunning. It's magical and ethereal, the sort of polish I can't take my eyes off. It's like an enchanted pond or a perfect mermaid's tail or an ocean sprite. Light dances across it like ballerinas floating across a stage. You can purchase a bottle of this stunner between August 3rd and 6th during this month's Polish Pickup sale. 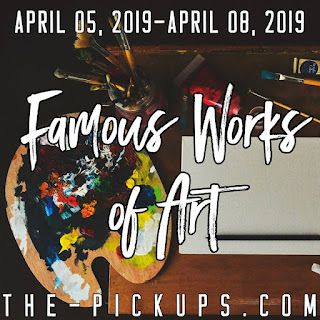 If you want to see more spoilers of the polishes, come hang out with the Polish Pickup Pack, and in the meantime, check out the other polishes in The Lady Varnishes' shop. Beautiful swatches and love the stamping you chose!